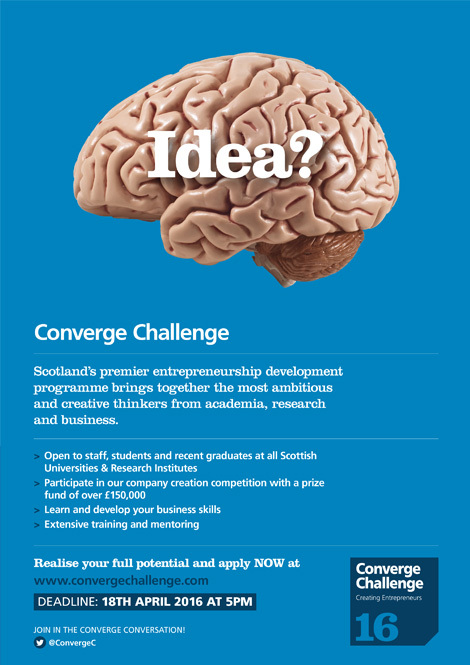 The Converge Challenge is Scotland’s premier entrepreneurship competition, bringing together ambitious and creative thinkers from academia, research and business. 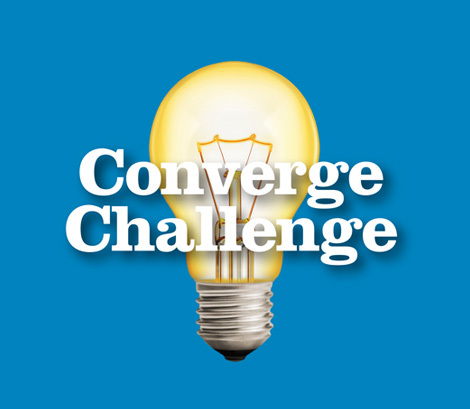 The Converge Challenge asked us to rebrand the competition to create a more distinctive identity and better engagement with its target audience. 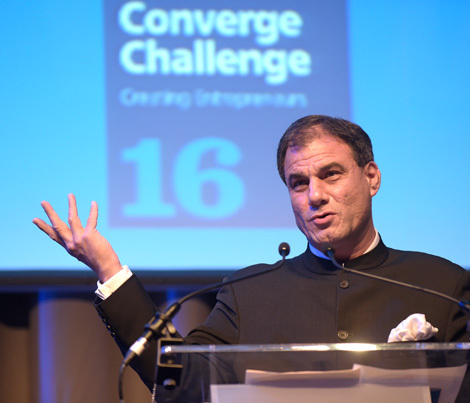 Our creative concept captures the excitement and risk of becoming an entrepreneur. This bold approach ensured the competition achieved great visibility and good standout in both on and off line environments. Eye-catching images and entrepreneurial buzzwords with an intelligent sense of humour were used to grab attention and provide a flexible approach to brand communications. 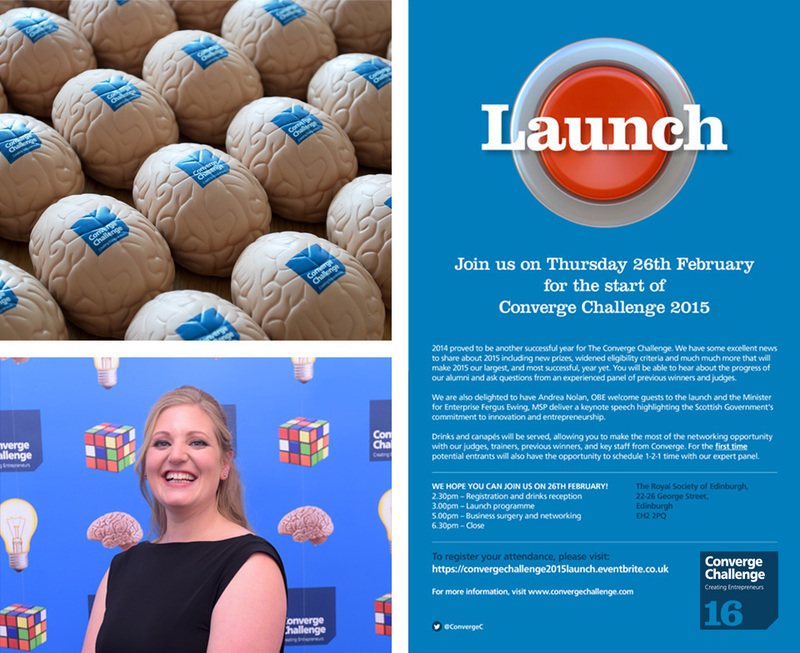 These were married with a brilliant blue background to provide consistency across the competition’s marketing and communications collateral. Working closely with the competition’s marketing team we rolled the new brand out across multiple online and offline channels. This included the design of a poster campaign, a new website, and core social media. 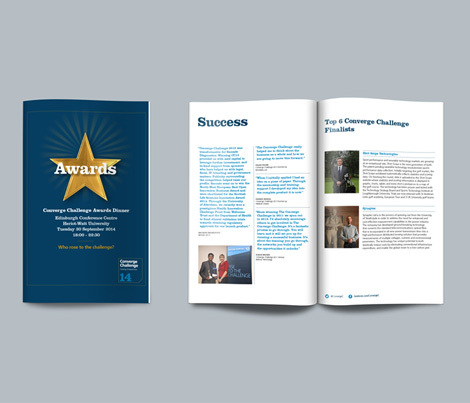 In addition to this we designed a suite of material for various promotional events throughout the year culminating in the prestigious awards ceremony. Our re-brand of the competition delivered exceptional levels of engagement contributing to an 86% increase in applications. 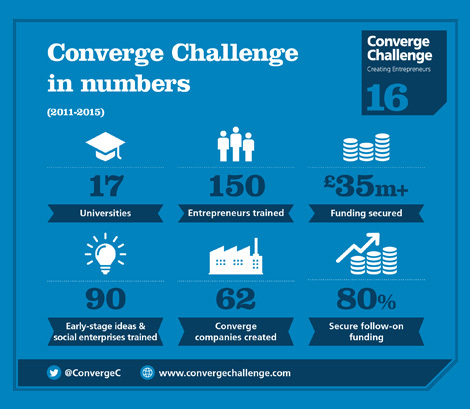 Following this success we worked with the Converge marketing team to further develop the brand for the 2015 competition. 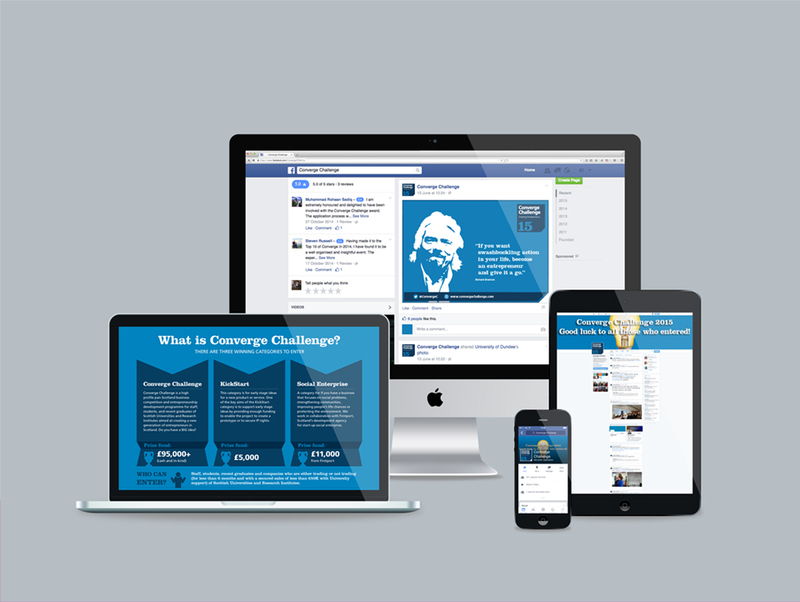 In 2015 our focus was on building the digital profile of the competition and how the brand could extend across social media. To achieve this we designed a suite of sharable content. This included branded images featuring inspirational quotes from iconic entrepreneurs and infographics that illustrated the impact of the competition. 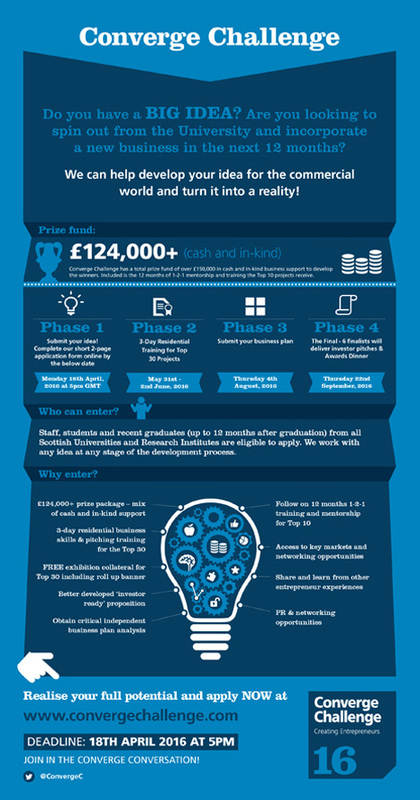 Again this activity led to high levels of engagement and contributed to a further increase in applicants of 68% in 2015.